One of the Conductor Virtuoso’s two optional boards had to be the best DAC chip on the market regardless of cost. Right now the best is the ESS SABRE32 DAC with 32-bit Hyper-stream architecture and Time Domain Jitter Elimination technology. 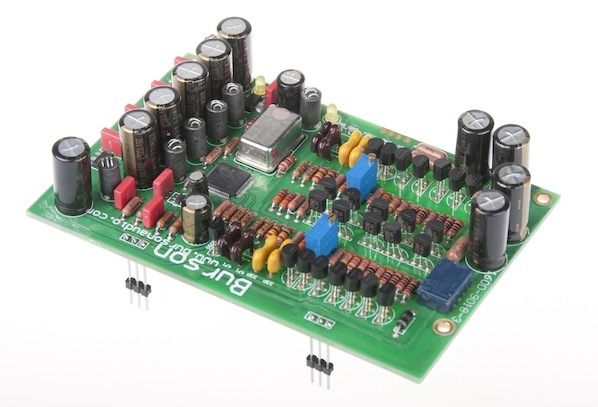 We consider the 9018 as the ultimate DAC board for the Conductor Virtuoso, and it makes a well-defined and logical upgrade for any Conductor equipped with the excellent Burr Brown PCM1793 DAC. Sonic characteristics include greater resolution, better top-end extension and openness, greater bottom-end weight and control, and explosive dynamics with a clarity and transparency that will weld your bottom end to the listening chair.